Archpriest Maxim Kozlov advises "tight control of personal presence on social networks"
Participation in social networks is fraught with spiritual danger, believes Archpriest Maxim Kozlov, the First Deputy Chairman of the Education Committee of the Russian Orthodox Church. “Most of those who tend to give up social networks during Lent finally realize that most of what they find there is not beneficial, and not spiritual reading at all. And that their posts are not usually full of love for their neighbors but of showing off their lives and rushing for unnecessary information which burdens their consciences and minds, and at the same time is absolutely useless,” said the priest in an interview with the Kultura newspaper. In his view, “Informational junk from social networks fills not only people’s minds but also their souls”, and in Lent, when a Christian longs for purity and restriction in conversation, “it is a worthy thing to terminate this stream of information”. Fr. Maxim, who has himself removed his “Facebook” account, says that he knows from pastoral practice that some people’s participation in social networks creates a problem in their spiritual life. “One motive for such a pastime (and in this it is especially dangerous) is the illusion of creating “a different life” for oneself. Not the life which we live in reality but one which we create through our own will. If I want, I will find a new “friend” for myself, and if I want, I will delete him. I can seem bold, though in reality I am a coward, I can seem gentle, though in reality I am a boor, I can seem clever, though in reality I have simply learned to copy and paste,” said the priest. He believes that precisely this creation of an illusion, this feeling of comfort, is one of the most magnetic temptations of social networks. 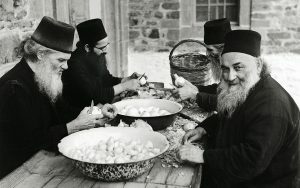 Father Maxim recommended tight control “or, to put it in computer language, “moderation”, of one’s presence on social networks”. “It is necessary in time and in essence (to cut off purely idle talk and contacts which are not connected with professional interests and of real benefit to others). And is it not necessary to check from time to time the results of one’s presence on social networks? And if no good comes from it, then you must say “stop” to yourself,” said the priest. 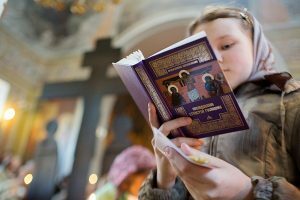 Earlier, on the eve of Lent, Archpriest Vsevolod Chaplin, the Chairman of the Synodal Department for Relations between Church and Society, called on representatives of virtual reality to observe an “information fast”, reports Interfax. According to the poll conducted by the Superjob site on March 12–15 among 3,500 respondents, 13% of Russian people who have internet access, are going to restrict or even give up communication on social networks.